On the day the rest of our friends went to Siena, Austin and I had scheduled a cooking class in the heart of Tuscany. 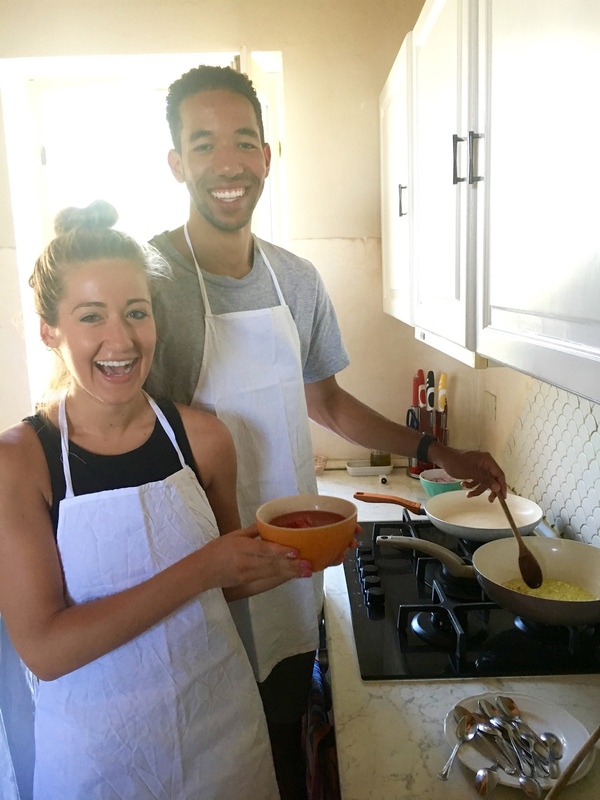 Basically, we tried to go full Chrissy Teigen and John Legend, make our own noodles and learn how to make an authentic Tuscan meal. Despite the lingering effects of too much Limonchello the night before, I was super excited and tried to ignore the nausea brewing from the windy Italian roads (the whole hour and a half it took to get there). Once we arrived at the CUTEST bed and breakfast, we sat down with a family of five from Boston and immediately got down to business. 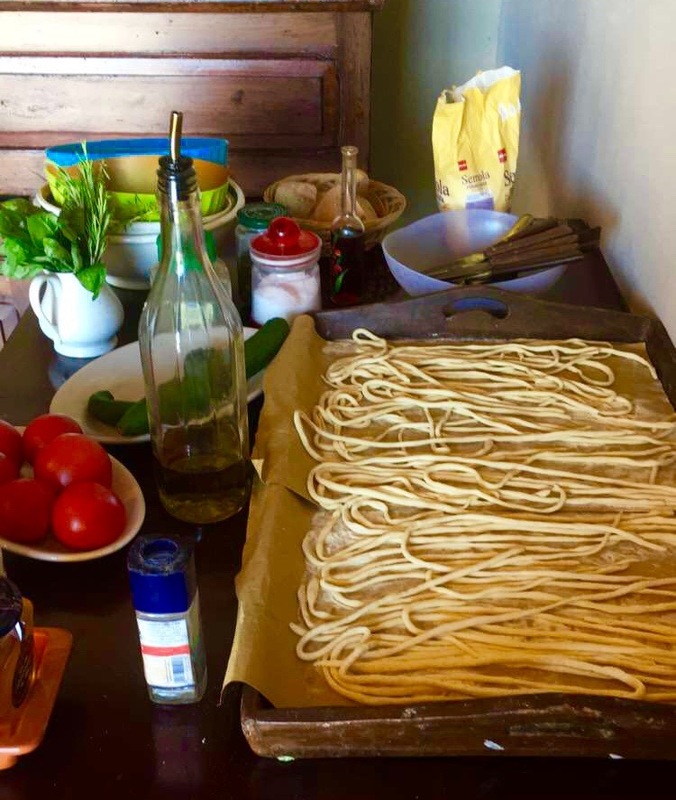 And by that I mean attempted to roll our own pasta noodles. We made multiple dishes, which included Bruschetta, Panzanella (basically a Greek salad, Italian-style) and Saltimbocca (prosciutto over a thin slice of chicken)...and everything we made was amazing. Our chef, Fulvio, was funny-bossy while carefully walking us through each step, educating us in his thick Italian accent. Older, hardened bread from the bakery can be soaked in water and ripped up to be used as a substitute for lettuce in a salad. Rub a garlic clove on top of toasted bread to whip up instant garlic bread. Mind blowing. ALFREDO SAUCE IS A FAKE. All you need is parmesan, olive oil and heat. Needless to say, I passed on the wine tasting but had a fab time! If you're ever in Tuscany, stop by to take some notes from ol' Fulvio. He even printed the recipes for us to take home.